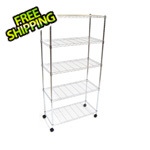 Organize your home, office or garage with this Seville Classics 5-Tier Shelving System. 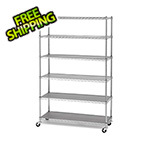 This versatile shelving unit is constructed from industrial-strength UltraZinc plated steel. The zinc-plating process provides added corrosion resistance and is better for the environment (compared to chrome plating) as fewer harmful chemicals are used in the plating process. 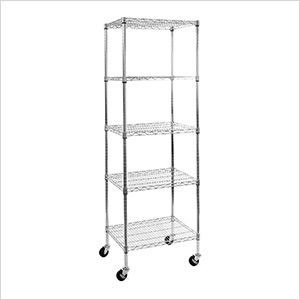 Shelves can be adjusted at one-inch intervals.